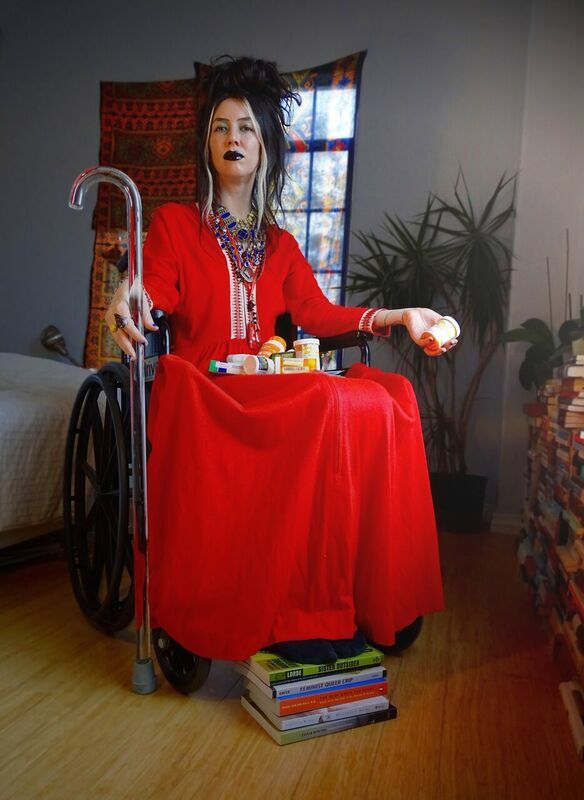 Johanna Hedva (@bighedva) is an anticapitalist psychonaut sorceress who lives in Los Angeles, where she’s from. She is the writer/director of The Greek Cycle, a series of feminist-ed and queered Ancient Greek plays; and the author of The Crow and the Queen, a novel published in limited-edition handmade hardcovers; Incunabula, a series of 103 fables with each fable published in its own handwritten book; My Cellar Doors, a book of poetry written on Salonpas pain patches; and Permanent Winter, a book made to be buried in the ice of Antarctica. This article is an excerpt from the forthcoming This Earth, Our Hospital (Sick Woman Theory and Other Writings).